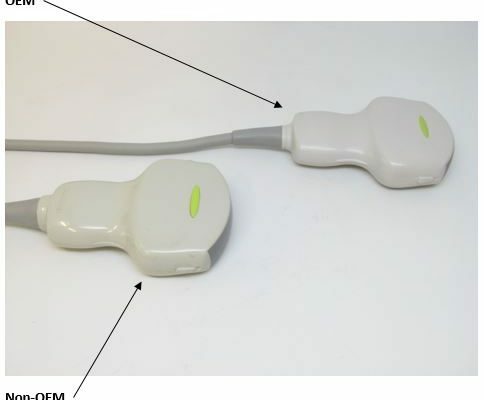 Multi-Medix » 2018 Archive - All » Ultrasound Probes – OEM or Non-OEM? 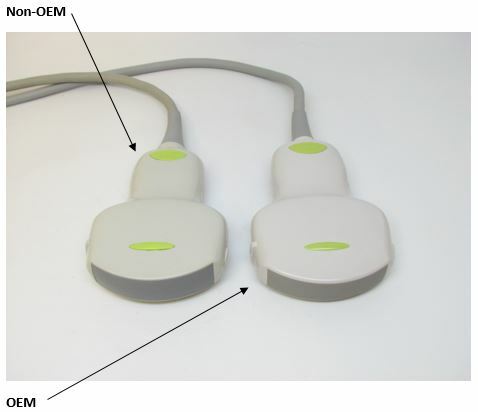 Ultrasound Probes – OEM or Non-OEM? 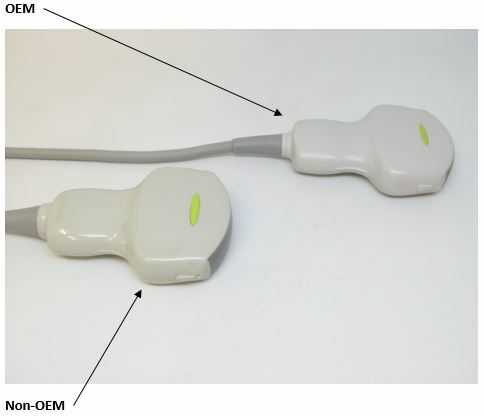 Do you know if your ultrasound probe is OEM or No-OEM? 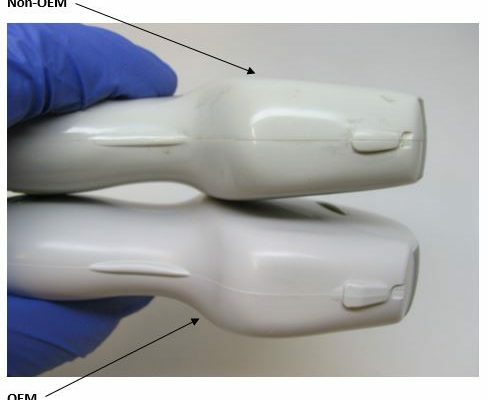 For good quality imaging results, it is essential that probes operate correctly when connected to the ultrasound system, and unless there is suitable documented evidence to prove otherwise, Non-OEM probes don’t do this. 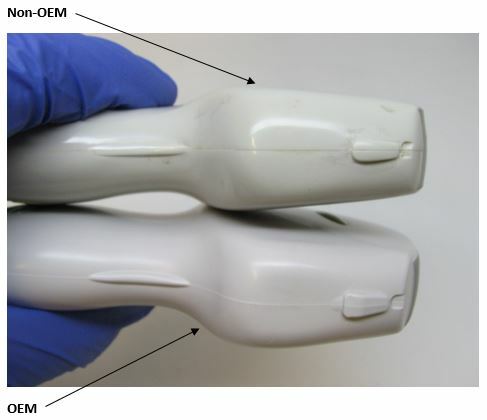 As specialists in ultrasound, Multi-Medix inspects and tests hundreds of ultrasound probes each week, and our quality system procedures enable us to identify the differences between OEM and Non-OEM probes, ensuring we don’t pass sub-standard probes onto our clients. 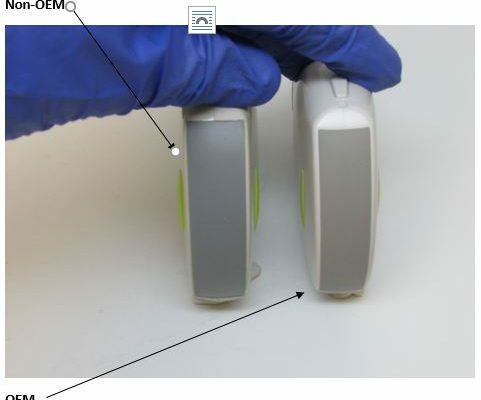 Some differences are easy to see, to the trained eye, whilst other differences require specialist test equipment and procedures to be identified. Side by side images of an OEM and No-OEM probe – click to view. Image 1 shows the Non-OEM array as having different dimensions to that of the OEM.